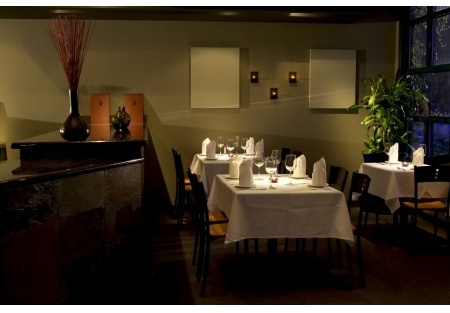 This elegant 72 seat restaurant in a standalone building is on a corner lot in a quaint East Sacramento neighborhood. Just walk-in and start operating the turn-key business. Financials are being provided, but we wanted our exclusive buyers to get first look at this great opportunity. The current cuisine is an Eclectic American Fare with wonderful critical reviews by Steve LaRosa and Mike Dunne. For those who wish to use their own concept, this location could easily convert to Thai, Chinese, Indian, Italian, or any other concept looking for a highly finished location. There is a Granite counter that could be used for a wine and beer bar. The kitchen is highly versatile with 12 burners, a grill, walk-in cooler and reach-in freezer. The rent is very reasonable at $3347 per month plus NNN of only $629! The Sq. Ft. is 2,300 sq. feet of total space. Great location in well-to-do area of Saramento. Easily convert to Thai, Chinese, Indian, Italian, or any other concept looking for a highly finished location. 2.75 Years Remain on lease.